How do you use paper baking molds? Paper muffin cups are a standard tool that just about every baker will keep on hand in their kitchen. Perfect for muffins or cupcakes, the eliminate the need to grease a pan and ensure that your baked goods won’t have anything to stick to when it comes time to take them out of the pan. 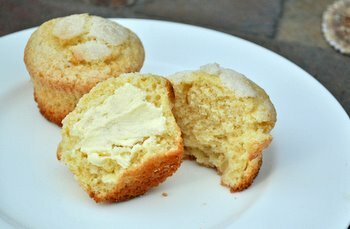 Muffin cups also make baked goods much more portable and easy to handle (without getting crumbs all over your fingers!). In kitchen stores, you’ll often see a selection of paper baking molds in a wide variety of shapes and sizes in addition to the standard muffin cups. 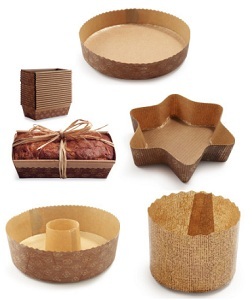 Loaf pans, bundt pans and round cake pans are just a few of the shapes that these paper pans come in. These pans are designed to do the exact same thing that paper muffin cups are: eliminate the need to grease a large pan and make the baked goods easier to transport. Paper baking pans are great for baking gifts for friends and family, the holidays or simply as hostess gifts for dinner parties. You can use them just like metal baking pans, and as long as you pick out the same size as a standard pan, you won’t need to alter the recipe to use them. You will, however, need to place the paper pans on a baking sheet to give them some support when they’re full of batter. The baking molds are similar to parchment paper and will not burn in the oven unless exposed to very high temperatures (most are perfectly safe up to about 400F), so there good for just about any baking application. I’ve used the paper molds for large brioche and panettone. Gives a marvellous shape and I don’t mess up my kitchen cupboards with another mold that will fall out onto your feet whenever you scarcely open it. just a quick question… Can chocolate souffles be baked in paper baking molds? Kendra – Good question. I haven’t done souffles in paper molds myself, but I would give it a try if you have a fairly heavy duty paper mold. Souffles need a lot of support to “grow” in the oven, so a very lightweight mold wouldn’t provide enough structure for a souffle to rise as much as it needs to. Thanks for the response. I’ll try it one day but only with one I’ll make the rest in my regular souffle dishes!